In 2011, Paul Feig directed what I like to call the first true, raunchy "chick flick" in Bridemaids. It was original and funny with a great cast of characters. Melissa McCarthy was so memorable in it that she received an Academy Award nomination for best supporting actress. Cut to 2013 and we have Feig reuniting with her again (she's like a movie star now) for The Heat (right off the bat, can't the title be a little more original). He in turn decides to pair her with America's sweetheart, Sandra Bullock. The result: an uneven and rather excruciating buddy cop movie (don't we have enough of those already) that has its moments, but has to rely on a barrage of profanity lacings to convince the audience that it's, I guess, comedic. Because this film doesn't have a large cast, McCarthy and Bullock are relied on to carry the full 2 hour running time. There in lies the problem. Bullock, I can handle but in truth, McCarthy's act in a short period of two years, has almost gotten tired by this point. She has resorted to giving the same performance in everything she appears in (I also wonder, is it in her contract to have her husband do a cameo in all her films, just a thought). In Bridemaids, she was extremely likable. In The Heat, she's almost intolerable. If you've seen This Is 40, Identity Thief, The Hangover III, and of course the aforementioned, get ready to experience more of the same. My advice to her is this: you can only play hostile for so long. Did anyone say typecast? So without further adieu, I'll go over the gist of this 2013 summer release (probably should've been put out in August where bad summer films exist, oh well). 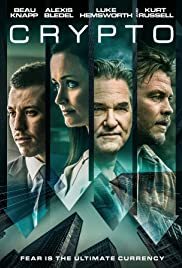 It's about two separate personalities (an FBI agent and a detective) who are forced to work together (there's an original idea) to take down a Russian mobster in the city of Boston (is it me or is Beantown being used for every cop movie lately). Bullock's character is special agent Sarah Ashburn. She's taking the assignment to get promoted. Melissa McCarthy's character is detective Shannon Mullins. She's on board with Asburn because well, she's quote unquote "the best cop in the precinct" (that scares the heck out of me). This whole mess is brought to you from the mind of screenwriter Katie Dippold. I read somewhere that she wanted The Heat to garner its inspiration from films like Lethal Weapon and Running Scared. Well after attending a 11:15 screening yesterday, I'm forced to choose the latter (this is not a good thing). Like I mentioned earlier, bad language (f-bombs mainly) is in the majority of what comes out of the actor's mouths. The ratio is probably every fourth of fifth word (you think I'm kidding, I'm not). Oh there's a lot of shenanigans going on in this abomination. For instance, in a buddy cop movie, you have to have villains. In The Heat, we've seen countless versions of them in other flicks of the same genre. The thing that bugs me is that not only are these ones not menacing, they don't even look like the bad guys. The main antagonist in this flick, is a high end drug dealer. He looks like someone who works at Abercrombie and Fitch. Ugh! Then there is the old adage where the villains wait and wait to cause harm to the stars in the movie (basically they let them live and off everybody else). Oh yeah, they (the bad guys) gotta explain things too. Remember Bullock and McCarthy's characters can't die because without them, how could things continue (again we've seen this nonsense all too often). Finally, I don't get the relationship between Bullock and McCarthy in general. They go at each other's throats throughout the entire proceedings but somehow by osmosis, become best buds in the end. It no doubt feels strained and forced. It's not the actors fault mind you, it's the manipulation of the script. And I'm gonna put it out there front and center, if I starred alongside Melissa McCarthy (aka detective Shannon Mullins) in this movie, I'd avoid her like the plague, just sayin'. To be fair, The Heat does have a few funny gags here and there (the scene with McCarthy putting a knife back in Bullock's leg is a riot. And maybe throw in the sequences where they get drunk together) but I've come to expect better things from the leads and the director. McCarthy can act, there's no doubt about it. But she needs to expand her repertoire a bit. Bullock, she could probably get away with doing movies like this forever (but why would she want to). Director Paul Feig, well he made the mistake of following the clever Bridemaids with a recycled, cliched, and all too familiar vehicle. The Heat is disposable as leftover Chinese food. It's gonna make a ton of money and probably wow a few moviegoers (gosh I hope not). If you've seen the trailer, all the funny parts are in it. You've been warned so save yourself ten bucks by watching it on youtube. 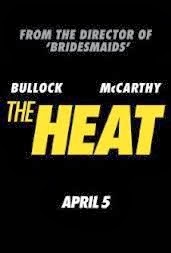 I'm gonna sum up my review by following one cop term with another: The Heat becomes "The Bust". The "Big Bust" that is.